Having a park just around the corner from home is a dream for many people. 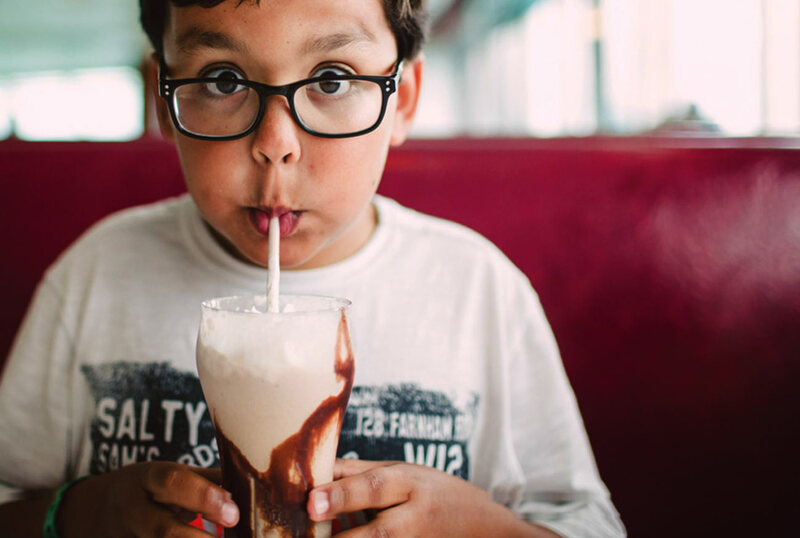 But at the master-planned community of Riverstone, it’s just another perk of everyday life. Homeowner families are enjoying three parks conveniently close to home within Riverstone’s Lodge District residential neighborhood—and three more parks are on the way. Every variety of tail-wagging fun will soon be found at Central Bark, Riverstone’s new dog park, which is planned to open early this year. Just a short walk away from Riverstone’s new homes, Pavilion Park features play equipment, shaded picnic areas and an enclosed mini field designed for soccer and field hockey. It’s just one of many parks in the community’s Lodge District residential neighborhood. Adventure Park at Riverstone is one that definitely lives up to its name. Ideal for children, the active park features play structures, climbing boulders, a permanent ping pong table and three different slides—all with a soft, spongy ground to safely cushion youngsters’ falls. There’s also a small amphitheater where parents can relax while keeping an eye on their children at play. A sunny spot to relax and enjoy a slower pace of life, Garden Park features barbecue areas, Bocce Ball, a play structure for children and a large communal table ideal for outdoor dining. 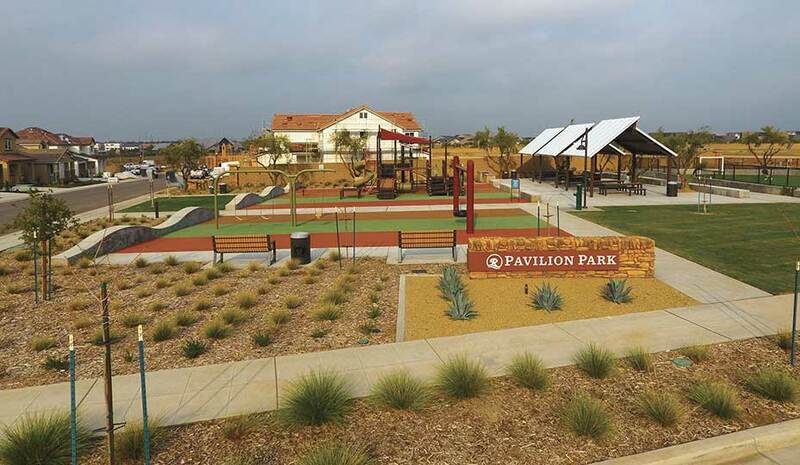 Pavilion Park—which is also open and just a short walk away from the community’s new homes—features play equipment, tire swings and an enclosed mini field for soccer and field hockey. Construction is currently underway for two additional parks with Riverstone’s Lodge District. Opening this year will be Expedition Park, which is planned to offer a play structure, ping pong, community tables and barbecue areas; and Tournament Park, which is expected to include an outdoor shade structure, two pickle ball courts and a creative, street-like play area where kids can safely ride bikes. 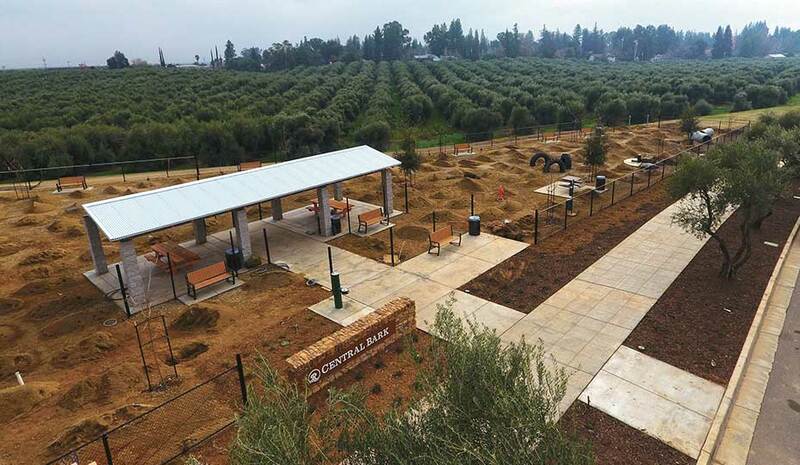 Central Bark—Riverstone’s brand-new dog park—is anticipated to open very soon. The creatively designed park for man’s best friend is envisioned to include canine-loving amenities such as trees, dog fountains and open-space areas ideal for running, frolicking and disc catching. The park will feature separate areas for small dogs and big dogs, both with their own separate, gated entry—designed to ensure that both the dogs and their owners are able to enjoy a better, safer park-going experience. Situated in the heart of the region’s path of growth, Riverstone—when complete—will total approximately 6,578 single-family, attached and multi-family homes, as well as commercial and mixed-use space including office, service and retail. Amenities at Riverstone are anticipated to include walkable neighborhoods, parks and open space, multiple community clubhouses, hiking and biking trails, a dog park, a community farm, historic olive and citrus groves, a sustainable water supply, and on-site schools belonging to the award-winning Golden Valley Unified School District. For more information about the new-home community of Riverstone and its collections of new homes from Bonadelle Neighborhoods, D.R. Horton, Lennar, McCaffrey Homes and Wathen Castanos Homes, homebuyers are encouraged to visit the community’s website at www.RiverstoneCA.com and add their name to the Interest List.